Tim Kelly was given the best on ground honours on Friday night. Very rarely are best-on-ground honours awarded to a player in a losing side. 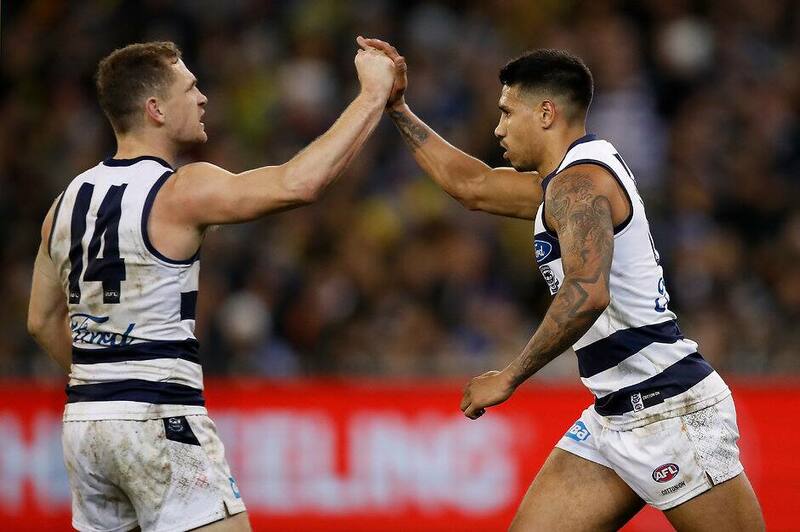 Tim Kelly has overcome those odds to take the maximum 10 coaches’ votes from round 20, despite the Cats going down by three points to the Tigers on the MCG. Kelly was prolific for Geelong as he racked up 36 disposals and kicked a goal in a stunning performance for a player with just 19 games to his name. Cats coach Chris Scott was glowing in his praise of Kelly following the match. “I thought he was clearly the player that stood above the others in and around the contest,” Scott said. Mark Blicavs and Patrick Dangerfield were the other two Cats to poll, registering three and one votes respectively. Blicavs was resolute in defence, recording a huge 18 one percenters and six rebound 50s on the night, as well as pinch hitting in the ruck to record to win 10 hit-outs. Kane Lambert was adjudged the best afield Tiger, as he took home eight votes to move him to 13th overall in the standings.